Attending Mickey’s Halloween Party with a little one in tow? Learn how to conquer Mickey’s Halloween Party with toddlers. As part of Halloween Time at the Disneyland Resort, guests are invited to join Mickey and his pals for a family-friendly, separate ticket event on specific nights in September and October for Mickey’s Halloween Party. Mickey’s Halloween Party features all the fun of the Disneyland park, plus exclusive holiday-themed fun. Guests are granted access into the park three hours before the party begins for some extra magical time. New for this year, Mickey added a ride through Main Street by the Headless Horseman of Sleepy Hollow. My family has made Mickey’s Halloween Party a tradition. With our youngest now 2 years old, we had so much fun showing her the pumpkin-lined streets and her favorite characters dressed up. Mickey’s Halloween Party is appropriate for every member of the family. 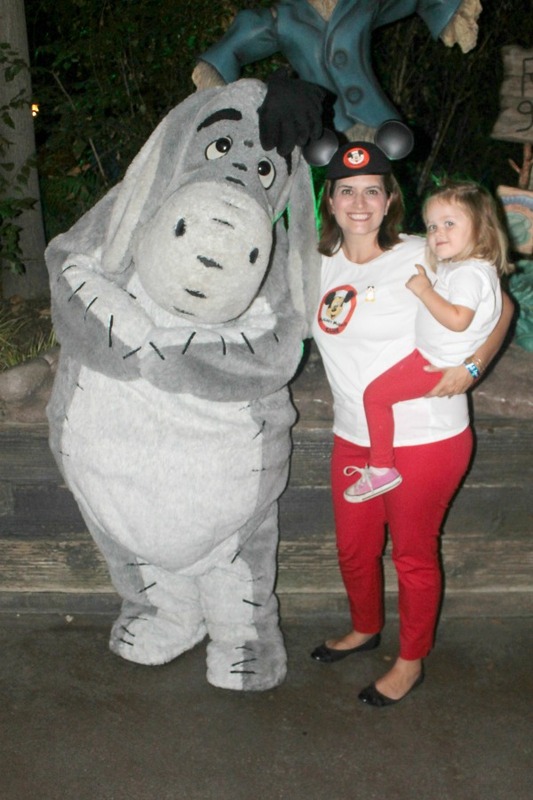 See how I conquered Mickey’s Halloween Party with toddlers to make sure we all had a ghoulishly good time. Comfy Costumes: Part of the fun of Halloween Time at Disneyland is everyone dressed in their costumes. But to make sure the fun continues, choose an outfit that will be comfortable while roaming the park. Consider in your planning that you’ll be doing a lot of walking, getting on/off rides, and gobbling up treats. For infants, consider a themed onesie or Halloween jammies. For toddlers, avoid anything scratchy or heavy. We planned on staying late so we chose something our daughter could rest in comfortably. Make sure your costumes are washable. Toddlers + chocolate = laundry. Family Costumes: One special aspect of Mickey’s Halloween Party is that adults and children are allowed to wear costumes into the park. Family or group costumes always catch my eye, and get everyone into the spirit. This year we opted for DIY Mouseketeer costumes. I loved the Inside Out and Peter Pan groups that I saw this year. Definitely got some great costume inspiration for next year. Be sure to check out Disneyland’s website for costume guidelines. Leave the weapons at home! 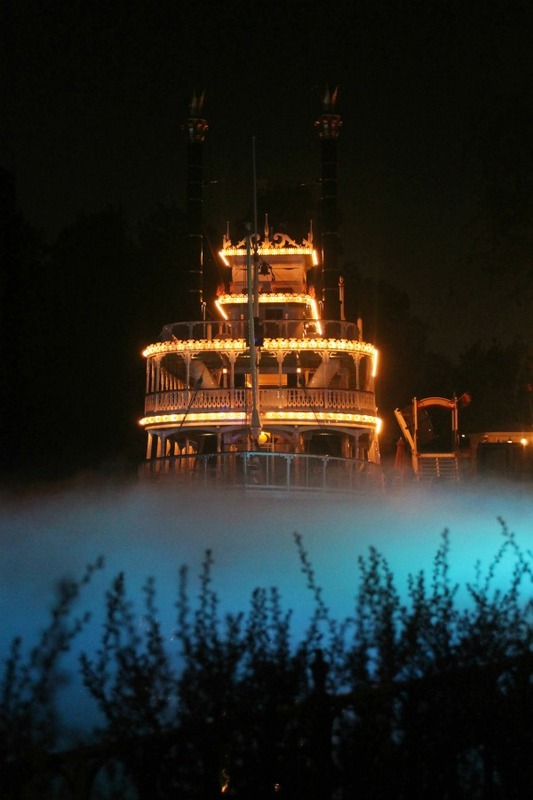 Pick Less Spooky Rides/Attractions: One of the best things about Disneyland’s Halloween is it is just the right amount of spooky. A giant pumpkin welcomes you into the park, Halloween music plays throughout the park, and images are projected on the ground and buildings. The “Frightfully Fun Parade” – See the headless horseman ride down Main Street to keep off the villainous parade. Character Photos – See your pals dressed in their own Halloween costumes for a seasonal photo shoot. All of Fantasyland – One of the selling points for attending Mickey’s Halloween Party is shorter lines. As it is a separate ticket event, you’ll be circling on Dumbo or on a wild ride with Mr. Toad in no time. Treat Stations – Don’t fear what may look like long lines at the trick or treat stations. They move really quickly and each station has several booths to nab goodies. At about half of the stations, we asked for the alternate healthier goodies (for example, apples, Cheez-its, or Clif bars). Our favorite was inside the Launch Bay in Tomorrowland where we also got to stop and snuggle our favorite Wookie. “Halloween Screams” Fireworks Show – Everybody scream! The fireworks display has been taken over by the Master of Scare-omonies, Jack Skellington. Zero flies through the sky to start the spooky celebration and fireworks spectacular. Haunted Mansion Holiday – Celebrating its anniversary at Disneyland, the Haunted Mansion once again has been taken over by Jack Skellington. Check out the addition of Sally and the new gingerbread house. Space Mountain Ghost Galaxy – Whip through the haunted depths of the galaxy at light speed. Villainous Photo Ops – Meet the devious villains of your favorite Disney movies at select locations, including the beginning of Main Street. Bring an Extra Bag for Goodies: Upon entering you will receive a bag to collect treats at all of the treat stations. As previously mentioned, you end up with a ton of treats. Bring an extra bag so your toddler can trick-or-treat with a light-weight bag. This also cuts down on your toddler eating too much sugar. Out of sight, out of mind, right? Take Lots of Pictures: Attending Mickey’s Halloween Party has become a fun tradition for my family. Seeing the old photos pop up on my Facebook Memories makes me so happy. Look at my lil’ trick-or-treaters! What fun are family costumes if you don’t get the whole family in the picture? Disney photographers will snap all your fun family moments and save them onto your PhotoPass card. You can choose to purchase just your favorites or grab them all. For more PhotoPass info, check out the PhotoPass website. 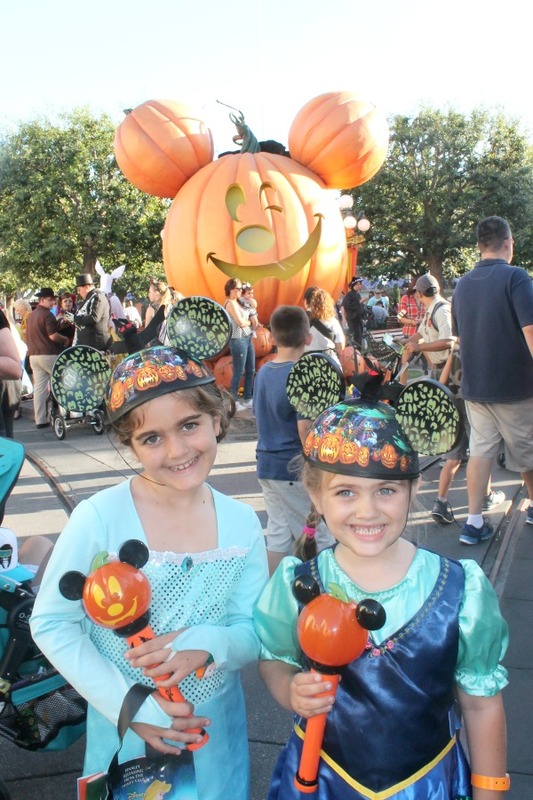 Mickey’s Halloween Party is a magical way for families to celebrate the season. Tickets are nearly sold out for this year’s celebrations, but check out the Disney website for available nights. Time to start planning next year’s costumes! This is some great advice! We started bringing my son when he was 3 and he always has had a blast. I love that Disney makes it fun for all ages. We haven’t been to Disney in ages! It would be fun to take our granddaughter when she is a little older. My son is not a toddler anymore but he would still love to do this! It looks like such a fun family time! I can’t wait to take my kiddo! We haven’t taken our three to disney yet. I am really looking forward to it! All the holiday events look like they just can’t be missed. How fun! I’ve always wanted to do Disney during Halloween or even Christmas. Someday we’ll have to make this happen. I love that Disney has something for all ages during the holidays!! What a great Halloween party to attend, I know my youngest would love this. I haven’t ever been able to go to Disney, but I’ve always wanted to! I’m definitely going to have to save up and bring the kids one of these days! I never thought to go there at this time of year, but it looks like amazing amounts of fun. I’ve definitely got to make a point of it! Aww that looks so much fun! I would love to visit disney at halloween or even christmas. I bet its even more magical! Great tips! I’ve never been to Mickey’s Halloween party before! It looks like a lot of fun! Oh this is adorable! I’ve never been to Disney, let alone Disney on Halloween. It looks like a great even for the little ones. 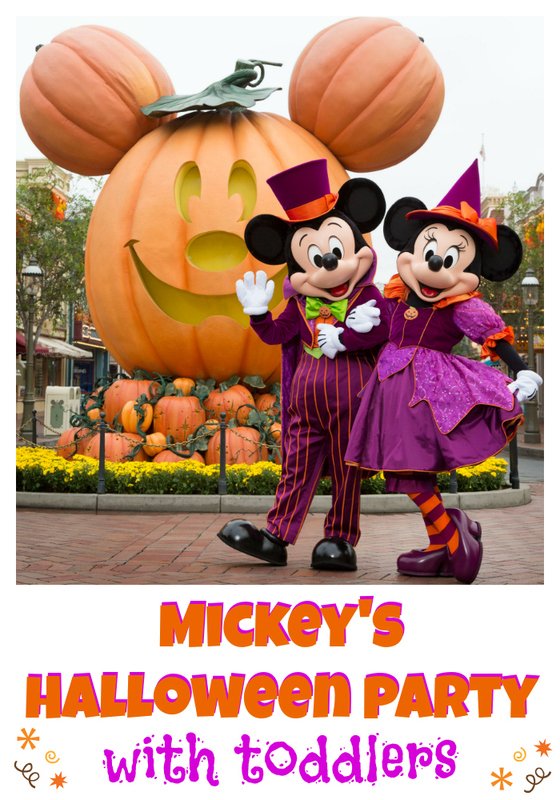 Our next trip to Disney is going to include Mickey’s Halloween Party! It looks amazing and I know our family would have a blast! What a delightful party! I love how they help us all go full tilt in using the Disney themes to organize a celebration. That sounds great. It would be an ideal place for the whole family. Btw, thanks for your helpful advice. I really appreciate it.